Simon Kelner has stepped down as editor of The Independent and its 20p sibling i today to be replaced by the London Evening Standard's Chris Blackhurst. Kelner, who has been with the newspaper for 13 years and played a pivotal part in its market-leading move from broadsheet to tabloid, will remain as editor-in-chief but will have no day-to-day involvement with the papers. Editorial operations at the i will continue to be overseen by executive editor Stefano Hatfield. 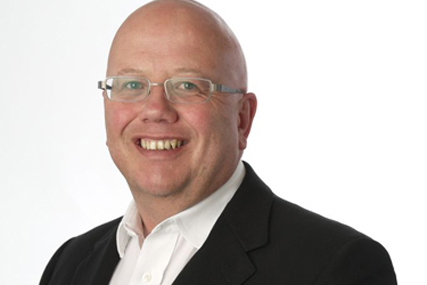 Blackhurst, who joins from his role as city editor and columnist at the Standard, was previously deputy editor of The Independent, Independent on Sunday and Daily Express. Earlier in his journalism career he was Westminster correspondent for The Independent and also a member of The Sunday Times Insight investigations team. Blackhurst said: "Returning to The Independent as Editor is very exciting. I've always had huge affection and regard for the staff there and the quality journalism they produce. The last nine years on the Evening Standard have been tremendously enjoyable. I am grateful to Evgeny Lebedev for giving me the chance now to take The Independent forward." Earlier this year Blackhurst was named best city editor by the London Press Club and Evgeny Lebedev, chairman of IPL, said his "talent, vision and energy" will bring a "new perspective" to The Independent. Andrew Mullins, managing director of IPL, said: "Simon is one of a kind. He is an astonishing creative energy and force. IPL will be a very different place without him as editor, but I very much look forward to working closely with Chris."